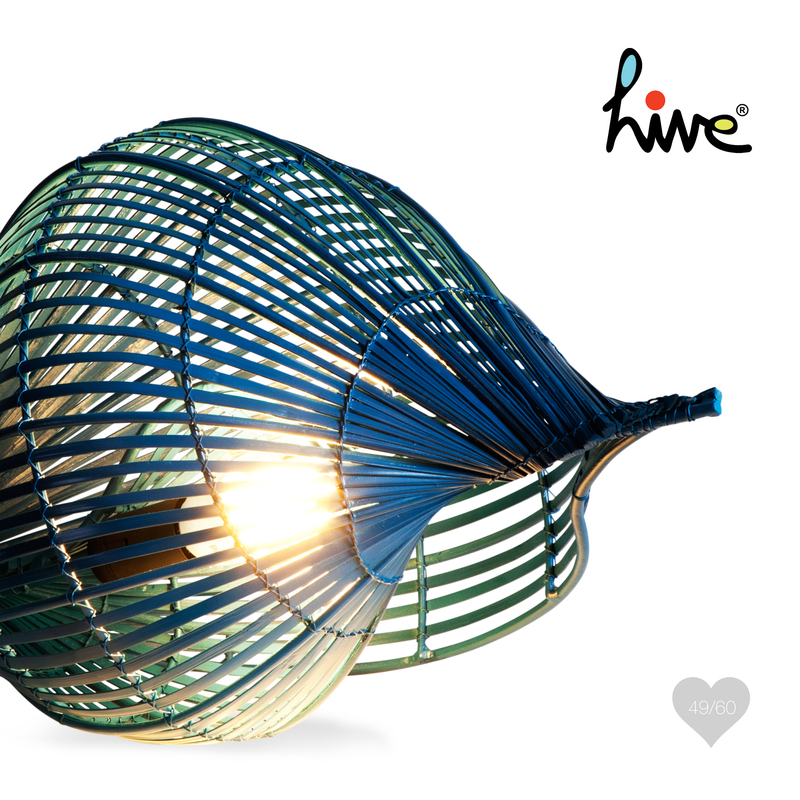 Conch Floor Lamp designed by Luisa Robinson for Hive. Highly reminiscent of the seashell's ubiquitous swirl, the Conch collection blends traditional materials with contemporary silhouettes. Bamboo splits are woven together as repetitive lines forming a circular shade that appears to spin within itself. Masculine and feminine sensibilities come together in this whimsical set of lights.